On September 13, 2016, Shareholder David Ezra gave a volunteer presentation for the Constitutional Rights Foundation, Orange County on Miranda v. Arizona, 384 U.S. 436 (1966), a pivotal Supreme Court case ensuring a person’s right against self-incrimination and for an individual’s right to a defense attorney. 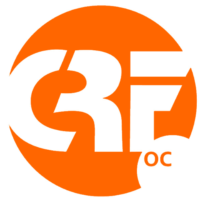 The Constitutional Rights Foundation, Orange County (CRF-OC) is a local non-profit, non-partisan education organization dedicated to promoting civic literacy, youth leadership, and career awareness among Orange County teens. Operating consistently since 1981, CRF-OC organizes and operates high-quality, interactive civic and law-related education programs that connect students directly with professionals and community leaders. The innovative programs help local teens understand and appreciate democratic institutions and the rights and responsibilities of citizenship, develop academic and leadership skills, as well as an interest in contributing to the larger community, and aspire to professional careers.